Eco-friendly Cameras for Greener Photo Printing | TonerGreen - Eco-Friendly Toners from the U.S.
Now that almost everyone considers eco-friendly products and living to help save the environment, more green items are being made available like the printer supplies known as remanufactured laser toner cartridges and ink cartridges. These printer cartridges offer green printing for those who wish to take part in nature's preservation with a different approach. However, the printing industry that is becoming greener does not end there, especially now that eco-friendly cameras are already present for a more efficient type of photo printing. 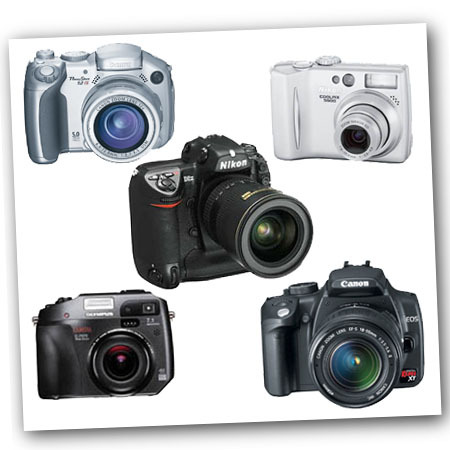 A good example of a green camera is the Canon EOS Rebel T2i digital camera which does not contain lead parts in it. Lead has been known to be harmful so Canon made a camera that would differ from the other types with the T2i, which is also very environmentally-friendly when manufactured. (If you’ve been an avid reader of our blog, you’ve already seen this camera in action with our behind the scenes at TonerGreen slideshow and video). Nikon is also another brand that has become more active in helping the environment which is why it has stopped using hazardous chemicals on its products. It is also offering free recycling of batteries and other electronic devices that reduce waste. One of its energy-efficient and economical items is the CoolPix S80 camera that has longer battery life span that saves on your electric costs. Lastly, Olympus is one of the companies known to be against global warming and is active in reducing the consumption harmful chemicals. The company usually displays a green leaf on its products that signifies the item's recyclability, reduced harmful substances, and effective energy saving features. One example is the Olympus FE-47 camera that has no PVC, cadmium, and lead which makes a family-friendly device. When you use one of these gadgets and print your images using an economical printer filled with remanufactured printer cartridges, consider yourself a saver and lover of nature.